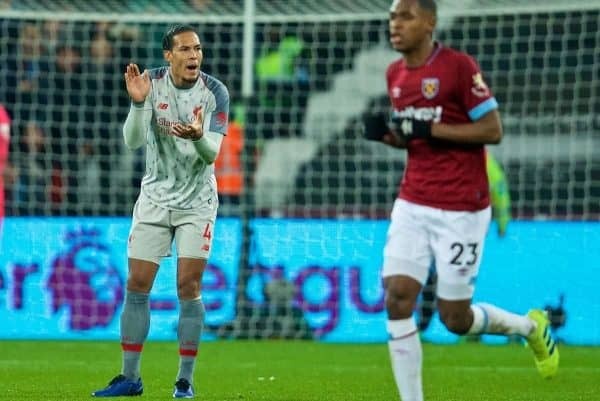 Liverpool let another big opportunity slip in the Premier League as they were held to a second consecutive 1-1 draw away to West Ham on Monday night. 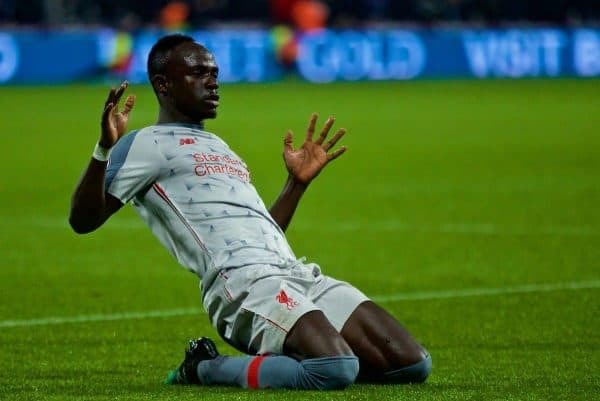 After a letdown drawing 1-1 with Leicester in midweek, the Reds returned to action with a trip to out-of-form West Ham knowing victory would push them back to five points ahead of Man City. A spate of injuries saw Jurgen Klopp make three changes to his starting lineup, with James Milner taking over at right-back and Fabinho and Adam Lallana joining Naby Keita in midfield. This saw the manager revert to a 4-3-3 setup, after a string of less-than-stable defensive displays, but it was another game marred by issues at the back. The Reds almost got off to an awful start as a new-look midfield struggled to settle, with Javier Hernandez finding space in the box, opening his body up and firing just wide of the post. With chances difficult to come by, a fortunate rebound saw Roberto Firmino through into the box, but the Brazilian sent his left-footed shot weakly at Lukasz Fabianski when he arguably should have scored. Often rightly derided for dallying in possession, some excellent turns from Lallana allowed the midfielder to play in an overlapping, and clearly offside, Milner, who cut back for Sadio Mane to open the scoring with his 12th of the season. But soon enough at the other end some dozy defending saw a well-planned set-piece routine saw Michail Antonio past a slack Naby Keita to fire beyond Alisson for 1-1. 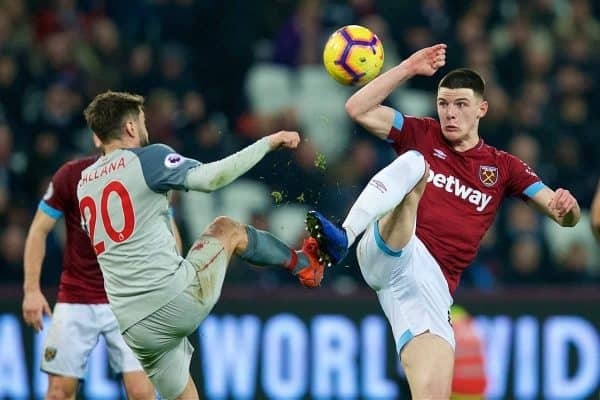 The hosts continued to exploit Liverpool’s awful efforts at the back, with Declan Rice heading off target following another free-kick, having found plenty of space in the box, ensuring the scoreline flattered Klopp’s side at the break. Little changed early in the second half, though the Reds took up a slightly altered shape with Mohamed Salah seemingly instructed to take up a wider position than he previously had, before drifting in. There were moments of quality from the Egyptian, as he tore into the box and clipped the ball just too close to Fabianski in a move reminiscent of his best goals from last season. An uninspired 20 minutes prompted Klopp to send on Xherdan Shaqiri in place of Lallana, looking for another game-changing performance from a player who has perhaps been better off the bench than from the start. West Ham almost went ahead when a the ball darted around the box and eventually landed for Mark Noble, though, but he fired his snapshot just over the bar. Divock Origi was also introduced late on in a very optimistic roll of the dice from Klopp, but it was a game fated for a draw long before then.